#36 - Talent Manager Barry Katz: Hollywood's "Dream Maker" • Where Hollywood Hides... the home of classic TV, movies, music, & celebrities! 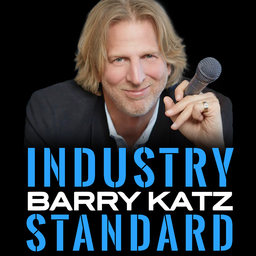 Quicklink to a great podcast interview with Barry Katz! Barry Katz is Hollywood’s premier talent manager, with a client list that reads like The Hollywood Walk of Fame. In this intimate conversation, you’ll hear how Elvis Presley was a factor in developing Barry’s amazing work ethic…and how, even as a child, his empathetic nature made him the “everything’s gonna be okay guy”. Today, Barry is a powerhouse talent manager, repping a wide range of stars, including comedians Jay Mohr and Louis CK, while producing numerous comedy albums, over 30 TV specials, reality shows, and network television series. 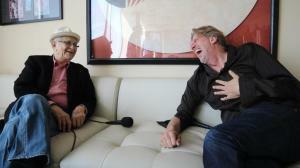 This is a compelling conversation with a unique, gifted guy and a talent manager like none other in Hollywood. You don’t want to miss this one. Download it instantly…and keep it forever.